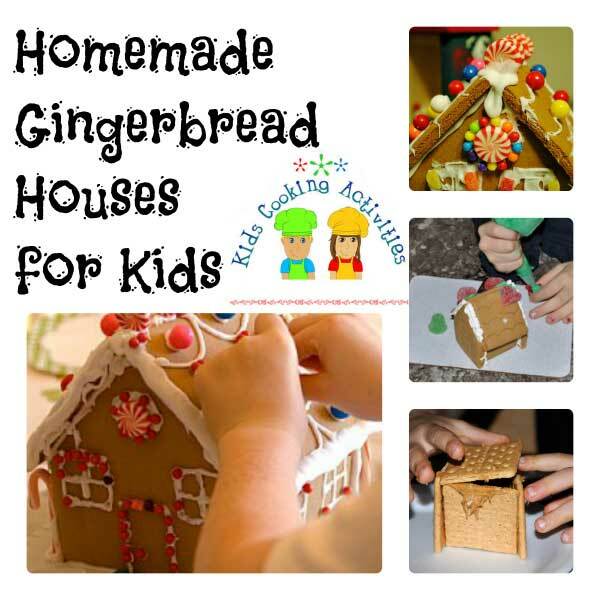 Gingerbread house recipes for kids seasonal cooking. 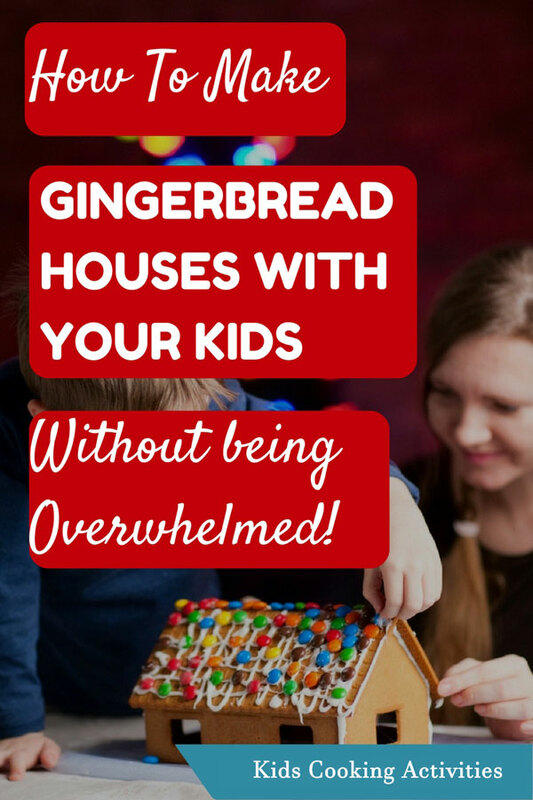 Gingerbread house recipes can look rather intimidating but if done step by step or an easier version they can be great fun for kids and a chance for their creativity to shine. In mixing bowl beat shortening, sugar, molasses and water together until well blended. Then add in baking soda, ginger, allspice, cinnamon, cloves and salt. Blend together and add flour. Form into a ball and chill for 1-2 hours. 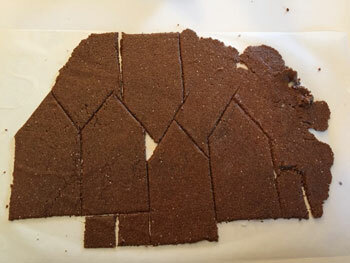 Roll out dough onto a floured surface and using templates or make your own cardboard house dimensions cut out pieces. Bake in a 375 degree oven for 8-10 minutes. Don't allow to brown. Lay your pattern pieces on top of the cooked gingerbread and trim if needed. The dough may have spread while cooking and you want your pieces to fit nicely together. Let cool at least 30 minutes-1 hour. Then construct your gingerbread house. 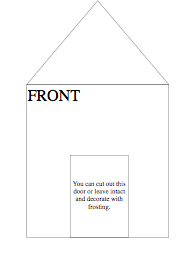 Here is a gingerbread house template you can download. You can also use a royal icing to decorate gingerbread houses. 3-4 Tablespoons of milk (add less for a thicker frosting) In mixing bowl, add all ingredients and blend together. If using different colors separate into smaller bowls and add coloring. Here are some ideas to get those sides to stay up! To start with, pull a few cans of food out of your pantry. Next, lay down some icing for the sides of the house to sit on top. Stick one side into the icing and then take a can of food and support your house with the can so that it can dry. Quickly apply icing to the sides of the back of your house and glue that to the edge of the side you just cemented in. Let dry about 10 minutes. Now do the second side much the same way that you did the first one. Lay down some more icing for the side to sit in. Smooth some icing onto the edge of the back and the current side you are working on. Glue them together. Again, youll want to support them with a can of food. Let dry another 10 minutes. :)) Again, apply some icing to the sides and back edges of the house. 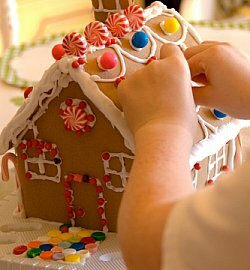 Also apply icing to the roof edges where it connects to the sides and back of your gingerbread house. Press roof on gently, connecting all the sides and the back of the house. If you are using the door, you can apply this at the same time. Let dry for about 10 more minutes before doing the final decorating. Prepare a serving tray or square piece of cardboard for the base of your house. Pipe frosting on edges of sides and attach together. Let dry for 20-30 minutes. Then attach the roof. Let dry another 20-30 minutes or overnight if your kids can wait that long! Then let the decorating begin. 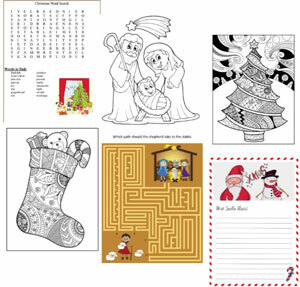 Add some printable fun games to your holiday! Place your box on a serving platter or tray. With the frosting attach graham crackers on each side of the milk carton. 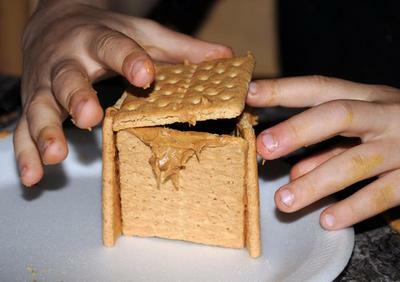 Then attach the roof with two crackers pointing up. 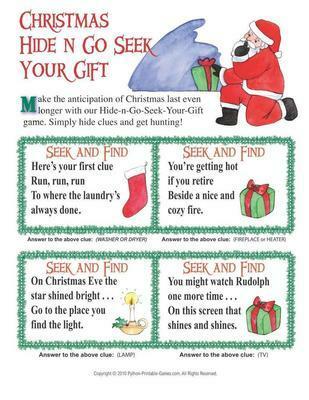 Leave the house out to dry overnight. Then decorate however you choose.